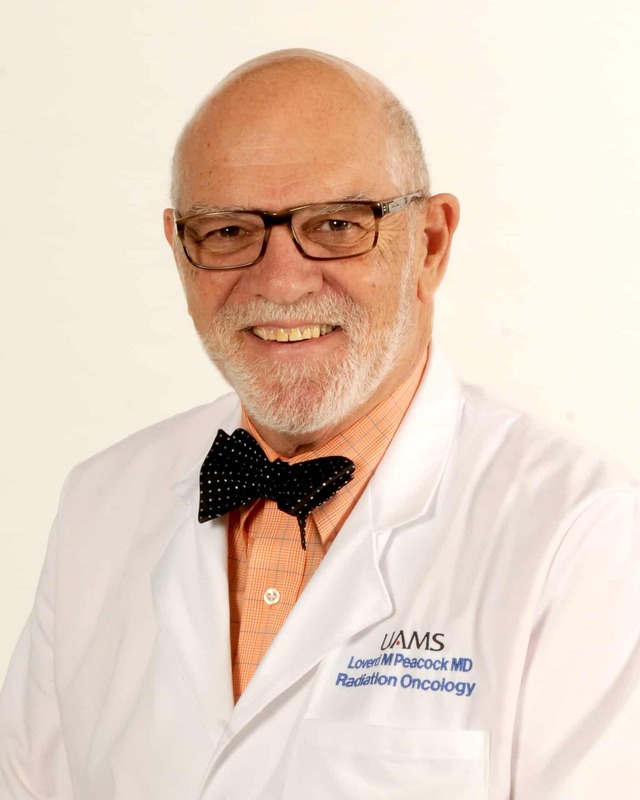 Aug. 19, 2015 | LITTLE ROCK – Radiation oncologist Loverd Peacock, M.D., has joined the faculty at the University of Arkansas for Medical Sciences (UAMS) in the College of Medicine Department of Radiation Oncology. He sees patients in the UAMS Radiation Oncology Center. Peacock is board certified in radiation oncology by the American Board of Radiology and in internal medicine by the American Board of Internal Medicine. He is a graduate of the UAMS College of Medicine. He completed his internship at UAMS and residency in radiation oncology at the University of Utah Hospital. Peacock most recently served on the staff of Crittenden Regional Hospital and as medical director of Bethesda Cancer Treatment Center in West Memphis. He is a member of the American Society of Therapeutic Radiology and Oncology and the American College of Radiology. His professional activities have included local and national involvement with the American Cancer Society, the American College of Radiology and the Arkansas Radiation Oncology Society.